Our support services minimize your risk and significantly improve time-to-market by providing experienced resources who can provide business processing, programming support, code consultation, and trouble shooting for many of the current development environments. Additionally, customer identified critical failures are rapidly escalated into our team to properly address problems in the shortest time possible. 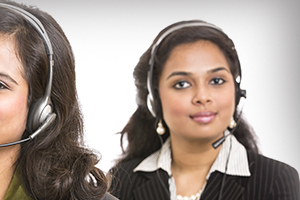 Varchas offers direct support plans that provide phone and email support for our solutions during system development. These plans are cost-effective and minimize the risk of delays and missed deadlines. Our clients know that expert support is one of the most critical factors for a successful deployment of technology or a business process. The Varchas Support is dedicated to helping you increase productivity and satisfaction and enabling you to maximize the benefits you achieve with Varchas IT solutions, Consulting, and Outsource services. Our clients know that expert support is one of the most critical factors for a successful deployment of technology or a business process.